Great Garage Floors doesn’t get a booth at all home and garden shows that pass through Minneapolis and St. Paul. But that doesn’t mean we aren’t there in spirit! Let us know what questions may have come up for you since the show, we have lots of great insight and information to share. It is likely that you have stumbled upon some show specials at the home and garden show. Let us know what you found! We are often able to meet or beat our competitor's garden show deal and with a superior product to boot! We would like the opportunity to tell you about the Great Garage Floors difference and what makes us the number one garage floor coating specialists in Minnesota. Not all garage floor coating and processes are the same. Even if the results after installation look similar, the differences will begin to reveal themselves soon. Unfortunately some of the show specials come with strings attached and fine print. As a consumer, it is important to do your due diligence and ask a lot of questions. Ideally, you should have us come out to your project site or home and get our free evaluation and cost quote. So enjoy your local home and garden, landscaping and home improvement shows and them come to the professionals that set the bar for all the others at Great Garage Floors! 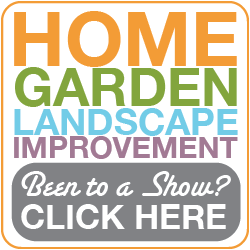 Call us today at 952-473-8600, tell us about your experience at the home and garden show! ALL MATERIALS THAT WE USE ARE LEED COMPLIANT AND OUR SUPPLIER HAS BEEN A MEMBER OF THE USGBC SINCE 2007.